Gorgeous home in the Woodbridge neighborhood! Entering into the quiet wonderfully maintained cul-de-sac you feel the inviting atmosphere around you. As you enter the driveway you are greeted by this amazing 4 bed 3 bath 2 story home with lovely landscaping in the front and back yard with a dog run installed on the west side of the home and enough room for RV Parking on the East side. It has an existing tool shed installed in the back yard for extra storage. As you enter the foyer you are welcomed by an open floor plan with beautiful arched entry ways that will lead you to an open living area with High ceilings and gorgeous custom built cabinetry with an exhaust fan to keep your electronic devices from over heating. Adjoined to the living room is a gorgeous kitchen with granite counter tops and stainless steel appliances. On the 2nd story you will notice more custom cabinetry in the huge loft area. 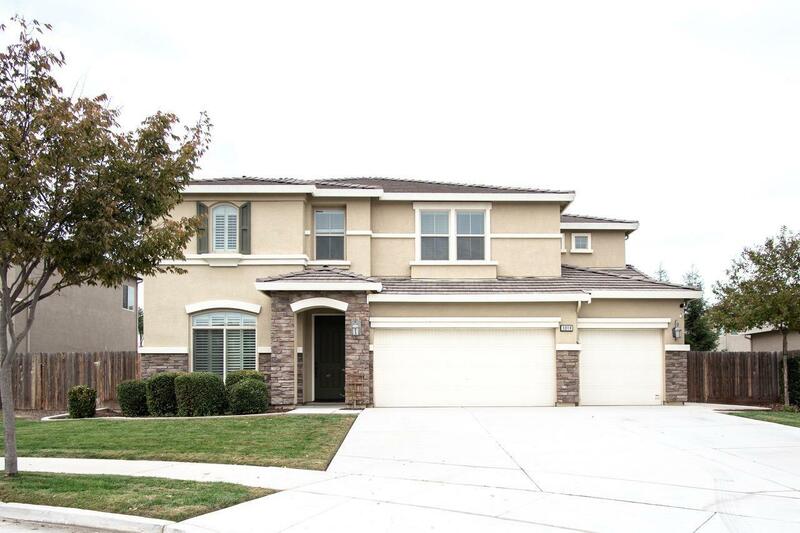 The upgrades are endless.This home is a must see, it's perfect for a growing family.